The imaging test is painless and usually done on an outpatient basis. A computed tomography scan — also called a CT or CAT scan — is an imaging test that lets doctors see inside a person’s body. As a patient lies still on a table, special X-ray equipment takes pictures from different angles to create cross-sections of the body. The “slices” can be looked at individually or together to create 3-D views of tissues and organs, according to the National Cancer Institute. The test is painless and usually done on an outpatient basis. In some cases, a contrast dye is injected into the patient’s vein or a patient is asked to drink it to help parts of the body show up more clearly on the image. The test lasts anywhere from a few minutes to half an hour, depending on the size of the area being scanned. What can CT scans detect? Can you detect cancer with a CT scan? Yes. The scan can help doctors find cancer and show a tumor’s shape, size, location and the blood vessels that feed it, according to the American Cancer Society. Doctors can compare CT scans done over time to see how a tumor is changing in response to treatment. How harmful is a CT scan? The radiation exposure from a CT scan is higher than that from standard X-ray procedures, but the increase in cancer risk from one scan is small, the National Cancer Institute noted. The main worry is how the exposure adds up over time. Some experts believe CT scans are not necessary in many cases and needlessly expose patients to radiation. 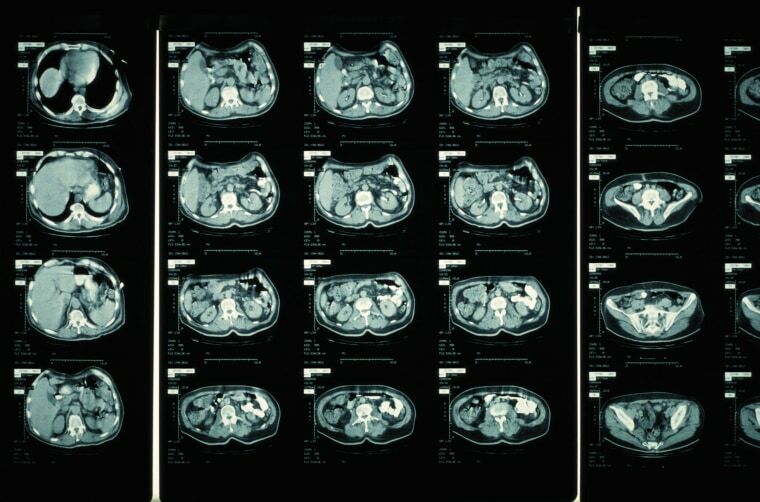 Multiple CT scans in kids have been linked to later cancer risk. What is difference between a CT scan and an MRI? Both are painless imaging tests, but a CT scan uses X-rays, while MRI (magnetic resonance imaging) uses a large magnet and radio waves to look inside the body, so there’s no exposure to radiation. An MRI is particularly good at showing soft tissues of the body, including the brain, spinal cord, muscles, ligaments and tendons.